Two 'adults' discuss films, TV, video games and life... sometimes with terrible alcohol. Find us on iTunes, Facebook, Spotify, and your favourite podcast service or e-mail us at "thefatbobcast@gmail.com". WARNING: Contains swearing, spoilers, and no actual direction. Wow, it sure has been some time, eh? Well we're back and as always we will be trying to stick to a regular schedule and inevitably fail because our mental illnesses are right tinkers. This week we shall be catching up, doing a few news items, reviewing the film #AGhostStory, and getting stuck into some new #literotica. So sit back, relax, and let our oral tones wash over you like a fine, cleansing, beef-wine. Thank you guys so much for listening. 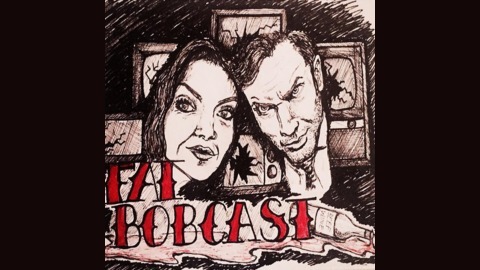 If you want to get in touch, just send an e-mail to: thefatbobcast@gmail.com. 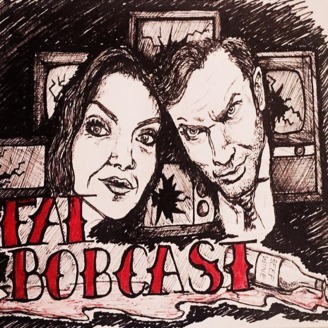 You can also like and comment on our Facebook page: https://www.facebook.com/fatbobcast, follow us on Instagram @thefatbobcast, and send us tweets at @FatChan101 or @Jenzeebob. Comments, questions, concerns, hate?! We want it all.